Cyprus is a small and beautiful island. In spite of its size, I have been coming back many times because I love the this country and have good memories. My latest and 8th visit is very recent. On my 7th, my visit before last, the immigration officer asked, "I have noticed you'd been coming here quite often, what is the purpose of your frequent visits?" I learned to love your country, and the people, and am wanting to experience more of your hospitality. "Enjoy your stay! ", he replied. I checked in with my family in a hotel called Lysithea as it was a very convenient place to stay being close to the Larnaca International Airport. Larnaca is the international gateway to the island. It is one of the oldest cities in the world rich with historical sites complementing its deep-blue sea, bright sandy beaches and reliably sunny skies. For you to move around easily and comfortably, intercity mini bus/taxi is available, which is very convenient and more economical compared to a private hire taxicab. I used this means of transportation almost the whole stay in Larnaca. A must see place is the beautiful Byzantine architecture of Saint Lazarus church in Larnaca which houses the reputed tomb of Lazarus. 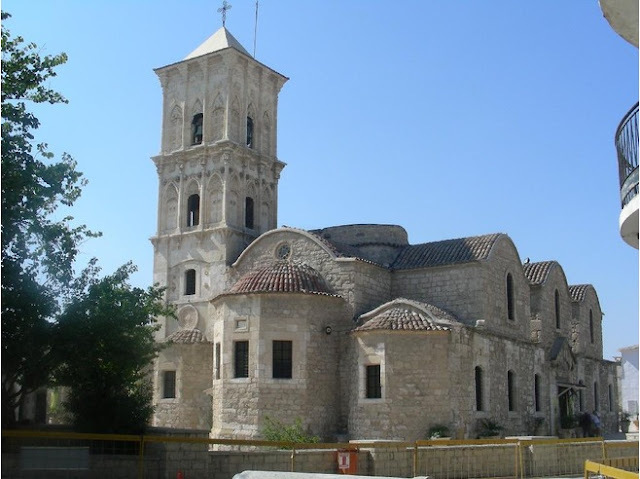 Saint Lazarus is the patron saint of Larnaca. He was believed to have lived at the ancient Kition for 30 years after his resurrection by Jesus Christ. It is nice to pay a visit to this Catholic/Orthodox church and have a glimpse of its open porch, the bell tower, and its interior. Larnaca´s beach extends directly along Phoinikoudes, starting from the harbour and the Armenian Monument down to the old Fort of Larnaca. The promenade, which is famous for its palm trees is a bit crowded in summer, but you are here for the beautiful sandy beach during the day or enjoy a night out sitting in a pub sipping cocktails at Larnaca's buzzing harbour. There are many beaches here. All you have to do is choose the one that you like most and have fun. The Cyprus Tourism Organization Public Beaches, with cafeterias, bars and restaurants, offer full facilities to swimmers, including changing rooms, beach furniture for hire (e.g. parasols, chairs and reclining chairs). Here you can endeavor in windsurfing, parasailing, water skiing, or simply lying in the sun. This Cyprus beach offers all the facilities and services to the bathers including a beach side café and sun loungers. An excellent Cyprus beach with great conditions for swimming and water sports. Offers water sports and a variety of other activities. There are Cyprus beach restaurants and sun loungers. A perfect spot in Cyprus for sun worshipers. Mckenzie Beach in Cyprus is well known for its beautiful white sandy beach and refreshing waters. Here you can enjoy the water sports facilities, which include scuba diving. Less than a five minute drive from Larnaca airport, Mackenzie Beach offers a great choice of Cyprus restaurants famous for their Cyprus cuisine and fresh fish. Larnaca is not only for the beautiful beaches, you can join the Cyprus Taste Tours which I consider an excellent experience. Enjoy the food and drink that will give you an insight of a typical Cyprus gourmet. The people who will be taking you around town for your Cypriot flavour adventure are experienced food fanatics. "Eating out is so much more than what's served on your plate ~ it's about the experience as a whole. In an era or globalization, it becomes even harder to taste the island's true character. I want to help visitors avoid the commercial, tourist traps and soak up raw, pure, Cypriot culture," says Yiota Mallas, co-owner of Cyprus Taste Tours. Then there is Hala Sultan Tekke, a mosque on the west side of the Salt Lake, built to house the tomb of the Prophet Mohammed's foster-mother. Visiting great piece of history is worth an experience. Have a walk around the salt lake and enjoy the wildlife in the woodland. 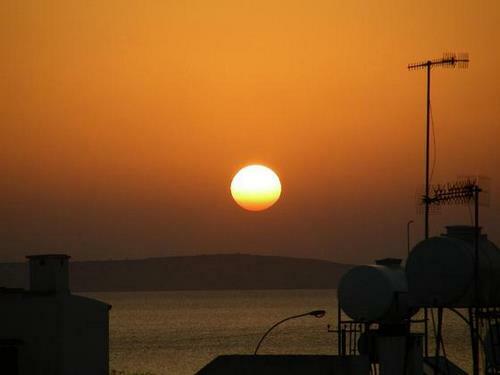 There are other interesting places to visit here in Larnaca. I will leave some of them for you to discover. Have a safe trip to Larnaca and enjoy your holiday. There you go my dear travellers ~ you may also join Cyprus Taste Tours while you are in Limassol and Nicosia. Thanks Yiota.